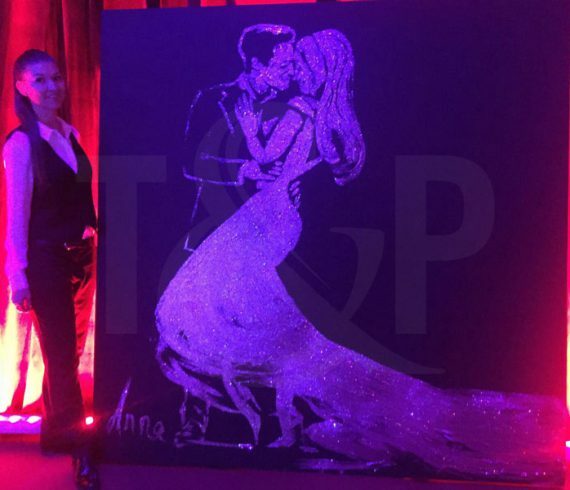 Our Splash Painting performer did a tremendous performance on the French Riviera for the city of Saint Laurent du Var. This unique painting performance happened in Parc Layet and organized by the city. For the occasion, our speed painter realized the portrait of the famous singer Jean-Jacques Goldman in just a few minutes. The painting was then offered to the city.